Join women from across the community for a delicious dinner and a timely talk from Rivkie Block. Rosh Chodesh is a day designated as a celebration of Jewish femininity. 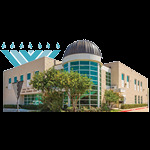 All dinners will take place at the Lang Chabad Center. Thursday, November 8th | 7:00 p.m.
Sunday, December 9th | 7:00 p.m.
Monday, January 7th | 7:00 p.m.
Wednesday, February 6th | 7:00 p.m.
Wednesday, March 6th | 7:00 p.m.
Sunday, April 7th | 7:00 p.m.
Monday, May 6th | 7:00 p.m.